The accessories can make or break the outfit. And the same goes for your business. The right add-ons can make your business run smooth as silk. I’ve tried on enough extras to know which ones fit – and which ones to toss back. Below are some of my absolute, can’t-leave-home without. 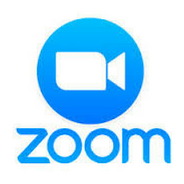 Zoom is the most flexible, dependable way to keep in touch with my clients. From one-on-one to a webinar of hundreds – it keeps you in touch with the most important people. Acuity makes scheduling (and scheduling reminders) as easy as copy and paste. 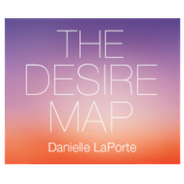 The Desire Map is the key to unlocking your inner compass. Not sure where to go? The Desire Map will show you already know the way. Boomerang is your secret follow-up weapon to help ensure every potential client gets the red carpet treatment. Growing your list is key to growing your business. 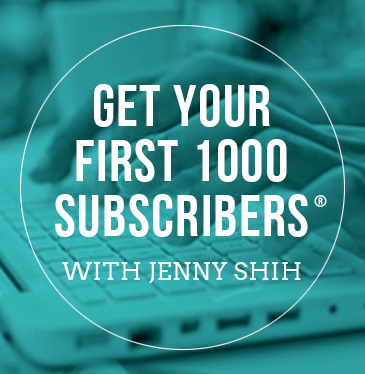 No one breaks it down more clearly than Jenny Shih in her Your First 1000 Subscribers program. 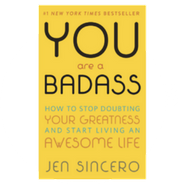 You Are A Badass is the guide you’ll need to push your business any direction you want to take it. And it’s a great rainy day pick-me-up when you need to remember that even Southern girls are a badass.